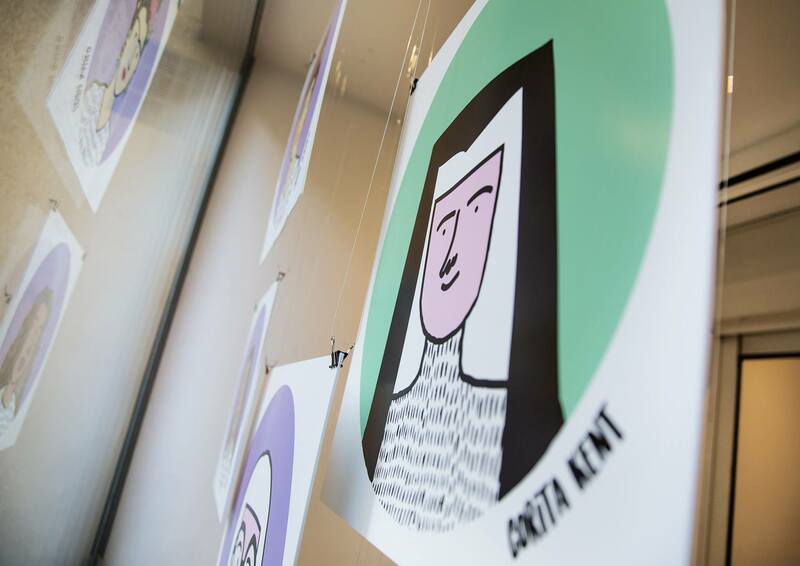 To mark the celebration of the ‘UK Women’s Vote Centenary’ and International Women’s Day, WMH commissioned a set of portraits of 100 female creatives. Women who, as trailblazers themselves, will all have benefited from and flourished thanks to the suffrage movement. 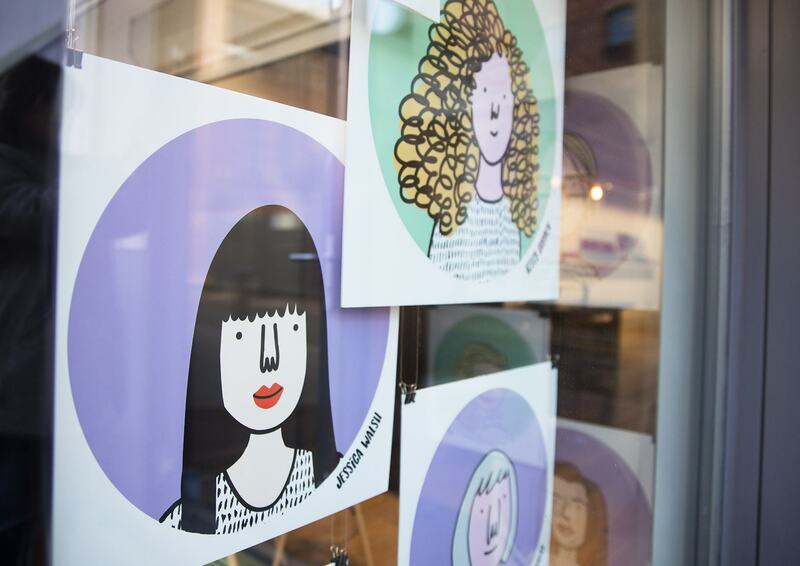 The portraits have been created in close collaboration with illustrator Hiffy Ulrich. We felt it was important to recognise women who are known for making a meaningful difference in the creative world. They have been chosen from a wide range of creative disciplines, such as illustration, design, architecture, photography and film. We have included some well-known visual artists, as well as some unsung creative heroes, or women who are still early in their career. This project is a collaboration between WMH and Hiffy Ulrich. A designer and illustrator, whose witty and playful work communicates feminist ideas and thoughts. Over 100 days, we have and will be posting the 100 portraits on the various WMH social media channels, and a specially created Instagram “Vote 100 Creatives” account. In addition, WMH’s studio has a street level window, which is updated every month. In the window, we showcase a host of different projects, from photographers we admire, to collaborations with the local primary school. 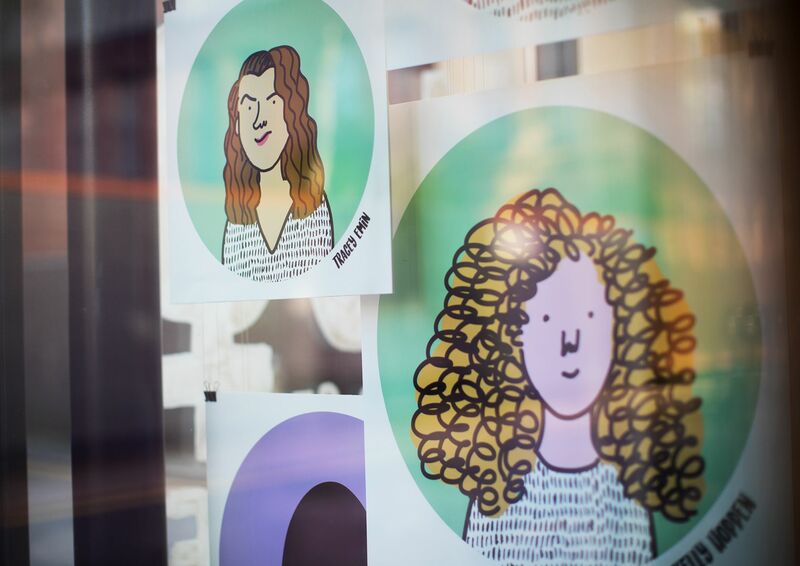 For this initiative we have installed 20 of Hiffy’s portraits, in combination with her own hand lettering work. 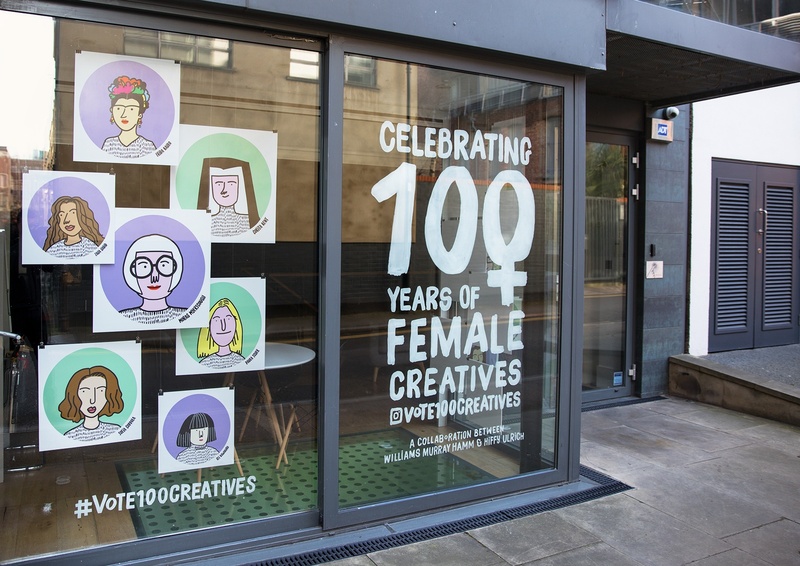 The “Vote 100 Creatives” installation will remain at WMH’s studio window until the end of March.